Order Mind Detox now to win prizes worth up to £997! Stop treating symptoms and heal the hidden cause. MIND DETOX reveals the remarkable Mind Detox method for resolving the unconscious mental toxicity that is causing countless people’s physical, emotional and life problems. If something bad is happening in your body or life and you don't know why, then like thousands of others, this method can help. This is a completely revised a rewritten second edition of Heal the Hidden Cause. 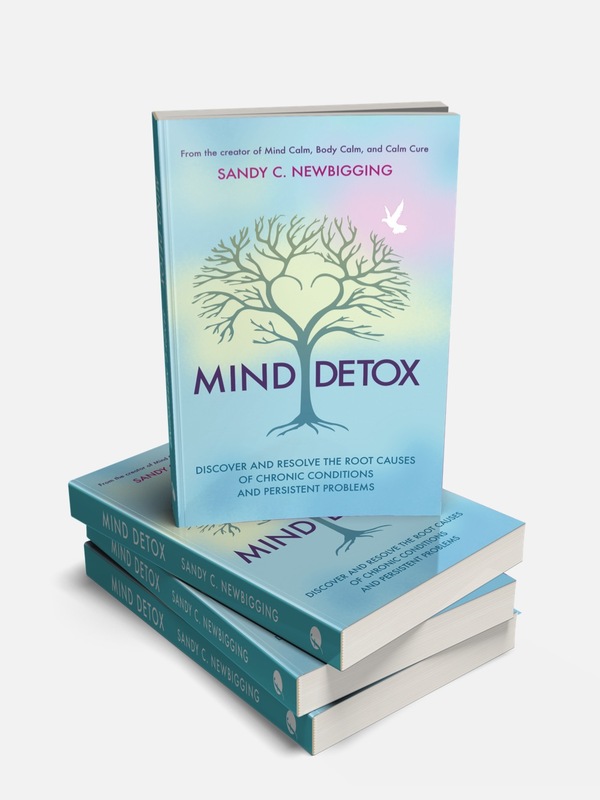 Including my newest insights from using Mind Detox, along with many - never shared before - personal stories of how I’ve used Mind Detox in my own life to heal the causes of anxiety, an eating disorder, insomnia, relationship issues and improve my personal impact and success. This simple 5-step system proves that by making peace with the past, your body becomes more able to heal. And by clearing toxic beliefs you are empowered to use your newly cleansed mind to achieve brilliant success in all areas of life. The best news is it doesn’t take years of therapy, but can provide changes in the time it takes to read the book and use the method a few times. People from around the world have seen skin conditions clear up, chronic pain vanish and digestive disorders disappear, along with heightened levels of happiness, wealth and well-being. Scroll down to enter pre-order prize draw and claim books offers! Win a personalised Guided Meditation - written and recorded by me for you - including your name within the meditation - to help heal and/or improve any issue in your life. We will meet for a 1:1 consultation and then I will create it based upon your needs. I’ve never done this before so it’s a priceless and unique prize to win! Win my Mind Detox Practitioner online training course - worth £997! TO ENTER AND CLAIM BONUSES, BUY THE BOOK AND THEN COMPLETE THIS FORM. THANKS! Why did you buy this book? Thank you for purchasing my new Mind Detox book! If this is the first time you’ve provided me with your email address, then you may receive a confirmation email. Please check your inbox (or junk folder) and click the confirmation link. If you are already on my newsletter, then you won’t receive the confirmation email. Enjoy Mind Detox and good luck! PRIZE DRAW AND BOOK OFFERS TERMS AND CONDITIONS: Winners will be selected by random on 30th April 2019. If you have already purchased an annual or monthly Calm Clan member and win one of our membership prizes, we will add an extra year or month to your membership. By signing up for the pre-order prize draw you will be added to Sandy’s Newsletter mailing list. We never share personal information with any third parties. Please see our Policies for full details.